This commercial suite is in a well presented development with a mix of medical and other professional offices. 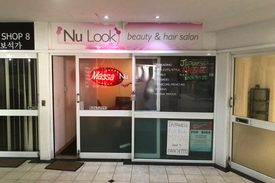 This suite has been used for hair dressing and massage/beauty and can be sold with fitout or you can start with a whole new business idea. 57m2 approx Personalise to suit or just move in and operate Ample on site car park Ground level for easy access and retail presentation Mudgeeraba Commercial Precinct Just off the M1, 5 mins to Robina Town Centre Super convenient and super affordable! One of Beaudesert's iconic retail locations is now for sale. Prior to moving out just a few months ago, Kentucky Fried Chicken successfully traded from this site since 1979 until their business model changed direction to offer Drive Thru facilities, rather than Drive To. Population Growth 2.3% p.a over the past 10 years. Catchment Area 15,194 residents (2019). Traffic Exposure 10,400 plus vehicles per day or in excess of 72,800 vehicles per week. Auction in Rooms Fri 10 May 2019 10:30 am. Level 26, 111 Eagle Street, Brisbane CBD Approx. This property is being sold by auction or without a price and therefore a price guide can not be provided. The website may have filtered the property into a price bracket for website functionality purposes. Immediate Liquidation - Circumstances Force Sale - Call Us Now! Auction, Thursday 4th Apr.. The Jared Johnson Lachlan Marshall Team alongside Brandon Johnson are excited to present this incredible central Broadbeach opportunity. 500m to the beach smack bang in the middle of the Gold Coasts Number 1 Entertainment Dinning Precinct. Our seller is EXTREMELY motivated and has given very clear instructions to submit all offers and sell on or before Auction. Open For Inspection Saturdays 12:00pm 12:30pm 130m2 Functional space + 39m2 undercover alfresco (council approved) Retail / Office / Medical (STCA) All stainless steel kitchen equipment and fit out included in sale Grease trap High exposure pedestrian foot traffic area Strong investment growth precinct Suit owner occupier or astute investor Previously rented to a long term tenant for $136,570pa + GST + Outgoings Fronting recently renovated Broadbeach mall, surrounded by national and popular draw card tenants destination restaurants Walking distance to Star Casino, Gold Coast Convention Centre and the Light Rail Motivated Vendor will consider all offers All other agent enquiry welcomed Don't miss this rare and outstanding opportunity! Inspect 7 Days For a detailed Information Memorandum please contact the exclusive listing agents Jared Johnson, Lachlan Marshall or Brandon Johnson for more details by clicking on the link above. Approximately This property is being sold by auction or without a price and therefore a price guide can not be provided. The website may have filtered the property into a price bracket for website functionality purposes. Disclaimer: Ray White has not independently checked any of the information we merely pass on. We make no comment on and give no warranty as to the accuracy of the information contained in this document which does not constitute all or any part of any offer or contract by the recipient. Prospective purchasers / lessees must rely on their own enquiries and should satisfy themselves as to the truth or accuracy of all information given by their own inspections, searches, inquiries, advices or as is otherwise necessary. No duty of care is assumed by Orchid Avenue Realty trading as Ray White Surfers Paradise Commercial divisions toward the recipient with regard to the use of this information and all information given is given without responsibility. Functional Front Unit - Seller Moving Overseas Must Be Sold Expression of Interest cl.. The Jared Johnson Lachlan Marshall Team are extremely excited to present this immaculate front unit in a boutique complex. 1/46 Export Drive, Molendinar offers a quality constructed modern warehouse in one of the most convenient locations the Gold Coast has to offer. Watch the property video for a virtual inspection. Our seller is moving overseas, is extremely motivated and has given very clear instructions to sell this property. 299m2 warehouse + 78m2 approved mezzanine Reception / foyer 2x Industrial height roller doors 4x Upstairs air conditioned offices with balcony + staff room Quality constructed concrete tilt panel warehouse Kitchenette Container storage / drop off Excellent height throughout Immaculately presented modern boutique complex (only 4 units) 2x Undercover car parks Great truck access Rare offering in tightly held area Zoned Low Impact Easy access to Smith Street Motorway and M1 Motorway Genuine sellers will consider all offers Inspect 7 days For private inspection call us today! Approximately Disclaimer: Ray White has not independently checked any of the information we merely pass on. We make no comment on and give no warranty as to the accuracy of the information contained in this document which does not constitute all or any part of any offer or contract by the recipient. Prospective purchasers / lessees must rely on their own enquiries and should satisfy themselves as to the truth or accuracy of all information given by their own inspections, searches, inquiries, advices or as is otherwise necessary. No duty of care is assumed by Orchid Avenue Realty trading as Ray White Surfers Paradise Commercial divisions toward the recipient with regard to the use of this information and all information given is given without responsibility. Substantial 2 storey building 580m2 total floor area Comprising 4 tenancy areas to the upper level and 4 ground level retail tenancies Superbly positioned right in the heart of Chinatown 50 metres to Southport Tram Station and Australia Fair Shopping Centre Continue current leasing or buy for future owner occupy/ investment Contact the listing agents for further information or to inspect. Approximately Disclaimer: Ray White has not independently checked any of the information we merely pass on. We make no comment on and give no warranty as to the accuracy of the information contained in this document which does not constitute all or any part of any offer or contract by the recipient. Prospective purchasers / lessees must rely on their own enquiries and should satisfy themselves as to the truth or accuracy of all information given by their own inspections, searches, inquiries, advices or as is otherwise necessary. No duty of care is assumed by Orchid Avenue Realty trading as Ray White Surfers Paradise Commercial divisions toward the recipient with regard to the use of this information and all information given is given without responsibility. Auction on site Friday 15th March 2019 (IF NOT SOLD PRIOR) Riverfront development opportunity Surfers Paradise / Broadbeach Zoned High Density Residential Land area 2,339m2 Over 85 metres fronting Nerang River Exceptional view corridor Mortgagee instructions are clear, don't miss this opportunity! Contact Brad Merkur 0414 389 300 Approx This property is being sold by auction or without a price and therefore a price guide can not be provided. The website may have filtered the property into a price bracket for website functionality purposes. Disclaimer: Ray White has not independently checked any of the information we merely pass on. We make no comment on and give no warranty as to the accuracy of the information contained in this document which does not constitute all or any part of any offer or contract by the recipient. Prospective purchasers / lessees must rely on their own enquiries and should satisfy themselves as to the truth or accuracy of all information given by their own inspections, searches, inquiries, advices or as is otherwise necessary. No duty of care is assumed by Orchid Avenue Realty trading as Ray White Surfers Paradise Commercial divisions toward the recipient with regard to the use of this information and all information given is given without responsibility. Immaculate Functional Warehouse With M1 Exposure Must Be Sold Seller Moving Overseas Auction, Thursday 21st Fe.. The Jared Johnson Lachlan Marshall Team are pleased to present this outstanding opportunity. 2/24 28 Kingston Drive, Helensvale is an immaculate, concrete tilt panel warehouse. Our seller is moving overseas and is extremely motivated to ensure this property is sold. 201m2 warehouse with mezzanine office Reception / foyer Full height electric roller Epoxy floors 5x split system air conditioning units Solar panel system included in sale All furniture included in sale Excellent height throughout 7x exclusive car parks Immaculately presented complex Great truck access Rare offering in tightly held area Zoned Low Impact Easy access to Smith Street Motorway and M1 Motorway Sellers will consider all offers Inspect 7 days Approximately Disclaimer: Ray White has not independently checked any of the information we merely pass on. We make no comment on and give no warranty as to the accuracy of the information contained in this document which does not constitute all or any part of any offer or contract by the recipient. Prospective purchasers / lessees must rely on their own enquiries and should satisfy themselves as to the truth or accuracy of all information given by their own inspections, searches, inquiries, advices or as is otherwise necessary. No duty of care is assumed by Orchid Avenue Realty trading as Ray White Surfers Paradise Commercial divisions toward the recipient with regard to the use of this information and all information given is given without responsibility. Brand New Commercial Opportunity Offer to Purchase closing.. When Location Is Everything Office / Retail Opposite Pacific Fair - Vacant Possession Auction - 21 February 201..
Moving to the Gold Coast and want the work life balance? Then this unit is a must to inspect. Minutes to the beach, major shopping centres and a great road network that surrounds this location making it a perfect opportunity for anyone looking for that work life balance. Or a great unit for investors because of that. 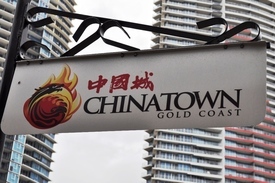 Situated in one of the busiest business locations on the Gold Coast. A part of the retail complex of the Mantra Sierra Grand, this unit is professionally fitted out as office space and was used most recently to sell out the newest addition to the Broadbeach skyline The Beach Apartments! Secured basement car parking, only a stone's throw from Broadbeach tram stop and directly opposite Pacific Fair Shopping Centre which has undergone a multi million dollar refurbishment in the recent year. Positioned in a high density residential and commercial precinct with high tourist activity and strong local support this is a fantastic opportunity for an investor or owner occupier to secure space is this bustling suburb of the Gold Coast. 112m2 to suit professional Office/ Retail/ Travel and Tourism Industry and possibly even medical use. Alfresco dining is possible with grease trap accessibility and endless possibilities for retail or keep it as an existing office. Approx This property is being sold by auction or without a price and therefore a price guide can not be provided. The website may have filtered the property into a price bracket for website functionality purposes. Disclaimer: Ray White has not independently checked any of the information we merely pass on. We make no comment on and give no warranty as to the accuracy of the information contained in this document which does not constitute all or any part of any offer or contract by the recipient. Prospective purchasers / lessees must rely on their own enquiries and should satisfy themselves as to the truth or accuracy of all information given by their own inspections, searches, inquiries, advices or as is otherwise necessary. No duty of care is assumed by Orchid Avenue Realty trading as Ray White Surfers Paradise Commercial divisions toward the recipient with regard to the use of this information and all information given is given without responsibility. 50m2 Tenancy with 1 car park downstairs Currently tenanted on a month to month basis for $275/week Lessor pays outgoings Air Conditioned Ideal for Investment or Owner Occupier (would suit professionals such as accountant, solicitor, medical) Cubicles & Sink included, floor is lino. Under Contract! Long Standing National Tenant - 5% Increases - Seller Liquidating All Assets Auction, Thursday 21 Febr.. The Jared Johnson Lachlan Marshall Team are extremely excited to launch this incredible tenanted investment opportunity to the market. 2/14 Millennium Circuit, Helensvale is a quality constructed tilt panel warehouse strategically positioned in one of the Gold Coast's premier, tightly held Industrial Commercial Precincts. The tenant takes advantage of surrounding major retailer Westfield Shopping Centre and easy access to the M1 Pacific Motorway. Our seller is moving overseas, is extremely motivated and has given very clear instructions to sell on or before Auction. Significant net income $68,135 p.a. + GST + (tenant pays all outgoings) Long standing national tenant 3 Year lease + 3 Year option 5% annual rental increases Commanding corner site NLA 300m2 + Additional mezzanine Duplex style building (only 2 units in the complex) The tenant 'Imagine That' also occupies the unit next door 1/14 Millennium Circuit, Helensvale 7x Exclusive use carparks Quality office fit out Large reception / foyer Multiple large executive offices, meeting rooms lunch room Industrial height roller door Exclusive Amenities Air conditioning throughout both levels Surrounded by National and Multi national businesses within one of the Gold Coast's most sort after Commercial Industrial estates Motivated vendor will consider all offers Don't miss this rare and outstanding opportunity! For a detailed Information Memorandum please contact the exclusive listing agents Jared Johnson Lachlan Marshall for more details by clicking on the link above. Approximately This property is being sold by auction or without a price and therefore a price guide can not be provided. The website may have filtered the property into a price bracket for website functionality purposes. Disclaimer: Ray White has not independently checked any of the information we merely pass on. We make no comment on and give no warranty as to the accuracy of the information contained in this document which does not constitute all or any part of any offer or contract by the recipient. Prospective purchasers / lessees must rely on their own enquiries and should satisfy themselves as to the truth or accuracy of all information given by their own inspections, searches, inquiries, advices or as is otherwise necessary. No duty of care is assumed by Orchid Avenue Realty trading as Ray White Surfers Paradise Commercial divisions toward the recipient with regard to the use of this information and all information given is given without responsibility. Proposed Development Site Pending Da - Expression Of Interest Expression of Interest Cl.. This could be Gold Coast's next distribution centre or a much larger man cave site with 9,647m2 of land let's take a look. A Pending DA is expected to be approved in the coming weeks, MCU from medium residential to commercial mixed use use fringe business low impact industry use. The proposed development site caters for a range of potential uses which may suit residential or commercial developments. With a possible subdivision (STCA) this site has great potential in both commercial or residential. Situated directly off the M1, Approximately 40 min from Brisbane, 25 min from Burleigh Heads and 20 min to Southport CBD it's in a great position for future business growth in this expanding corridor in Queensland. The typography is essentially flat with 3 building that reside on the 9647m2 an existing luxury home with resort style pool with fully functioning granny flat, along with a massive workshop/shed. The great thing about this site is it is tucked away giving plenty of privacy, but also providing ease of access around the site. The M1 off ramps to Siganto Drive is a massive plus with the North and South entry points to Siganto Drive being the Oxenford/Hope Island exit and North Helensvale/Movie World M1 exit/access ramps allows for an effortless flow for vehicles. The proposed DA maximises the shape and size of this site. Ask for an IM for the full plans and turn this development site into a winning investment. Approx Disclaimer: Ray White has not independently checked any of the information we merely pass on. We make no comment on and give no warranty as to the accuracy of the information contained in this document which does not constitute all or any part of any offer or contract by the recipient. Prospective purchasers / lessees must rely on their own enquiries and should satisfy themselves as to the truth or accuracy of all information given by their own inspections, searches, inquiries, advices or as is otherwise necessary. No duty of care is assumed by Orchid Avenue Realty trading as Ray White Surfers Paradise Commercial divisions toward the recipient with regard to the use of this information and all information given is given without responsibility. Extremely Motivated Seller - M1 Exposed First Class Office Building Invest Or Occupy - Must Be Sold! Auction, Thursday 21st Fe.. The Jared Johnson Lachlan Marshall Team are extremely proud to offer this exceptionally rare opportunity to purchase a Blue Chip freehold property on one of the tightest held and highly exposed Commercial Industrial streets on the Gold Coast. Strategically positioned directly parallel with the M1 Pacific Motorway, this incredible property is exposed to over one hundred thousand cars everyday and takes advantage of surrounding major operators such as McDonald's, Caltex Fuel Station, Zarraffa's Coffee, Movie World, Top Golf Wet 'n' Wild Theme Parks. Prominent company headquarters or an investment opportunity to secure a national or multi national tenant. Our seller has committed elsewhere, is extremely motivated and has given very clear instructions to sell on or before Auction. Open For Inspection Saturdays 10:45am 11:15am Net Lettable Area 761m² Land area 1,497m2 31 Carparks Entire fit out and all furniture included in sale Large welcoming reception / foyer Four practical open plan work areas Multiple large executive offices meeting rooms Three expansive boardrooms Ground floor first floor kitchens Archive room Air conditioning throughout both levels Abundance of natural light Mixed use, Fringe Business Precinct Zoning Motivated vendor will consider all offers Don't miss this rare and outstanding opportunity! Inspect 7 Days For a private inspection call us today For a detailed Information Memorandum please contact the exclusive listing agents Jared Johnson Lachlan Marshall for more details by clicking on the link above. Approximately This property is being sold by auction or without a price and therefore a price guide can not be provided. The website may have filtered the property into a price bracket for website functionality purposes. Disclaimer: Ray White has not independently checked any of the information we merely pass on. We make no comment on and give no warranty as to the accuracy of the information contained in this document which does not constitute all or any part of any offer or contract by the recipient. Prospective purchasers / lessees must rely on their own enquiries and should satisfy themselves as to the truth or accuracy of all information given by their own inspections, searches, inquiries, advices or as is otherwise necessary. No duty of care is assumed by Orchid Avenue Realty trading as Ray White Surfers Paradise Commercial divisions toward the recipient with regard to the use of this information and all information given is given without responsibility. Best unit in the complex and the best complex in the area! Total area 210m2 comprises approx 25m2 boardroom, bathroom w/shower and 85m2 warehouse on GF first floor comprises 100m2 exceptionally fitted out office space 5 work spaces, all with windows plus 3 separate private offices ducted and split system A/C throughout kitchen and bathroom facilities on both levels gated, dual entry rear car park This property has a unique layout with the best of both worlds. A building with an appealing glass office facade facing the street and an easy to access rear roller door. This is very versatile and a hard to find combination. For Sale vacant possession. on application. Recently refurbished 59m2 boutique office available for purchase in leafy Short Street Located in the heart of the Southport CBD, this top floor office is direct proximity to surrounding professional services, major banks, local shopping and cafes, plus only a short stroll to the Gold Coast Light Rail station Internally, the tenancy offers a welcoming reception, practical open plan work area with a full wall of windows, plus internal storage area Two (2) car parks included with the property, plus ample on street client parking Ideally suited to a small professional services group; creative design, drafting/architecture, legal, accounting, consulting or even medical Great entry level purchase for any expanding business, or SMSF Approximately Please contact the listing agent for more details by clicking on the link above. Disclaimer: Ray White has not independently checked any of the information we merely pass on. We make no comment on and give no warranty as to the accuracy of the information contained in this document which does not constitute all or any part of any offer or contract by the recipient. Prospective purchasers / lessees must rely on their own enquiries and should satisfy themselves as to the truth or accuracy of all information given by their own inspections, searches, inquiries, advices or as is otherwise necessary. No duty of care is assumed by Orchid Avenue Realty trading as Ray White Surfers Paradise Commercial divisions toward the recipient with regard to the use of this information and all information given is given without responsibility. Professionally presented, 79m² sixth floor office in Southport Central Towers Practical, partial fit out comprises welcoming reception with direct boardroom access, three partitioned offices plus small kitchenette/lunchroom Corner tenancy with full wall of windows creating an abundance of natural light Central CBD location within close proximity of all major banks, Southport Legal Precinct, corporate professional services, cafes restaurants and a short walk to buses and Southport Light Rail Station One allocated secure car space included in rental, plus 3 hour on site client parking 24/7 access and on site security Priced to sell, this one will not last! Approximately Please contact the listing agent for more details by clicking on the link above. Disclaimer: Ray White has not independently checked any of the information we merely pass on. We make no comment on and give no warranty as to the accuracy of the information contained in this document which does not constitute all or any part of any offer or contract by the recipient. Prospective purchasers / lessees must rely on their own enquiries and should satisfy themselves as to the truth or accuracy of all information given by their own inspections, searches, inquiries, advices or as is otherwise necessary. No duty of care is assumed by Orchid Avenue Realty trading as Ray White Surfers Paradise Commercial divisions toward the recipient with regard to the use of this information and all information given is given without responsibility.